To mark the release of Monsters and Men on 4th February, we’ve been given a copy to give away on DVD. 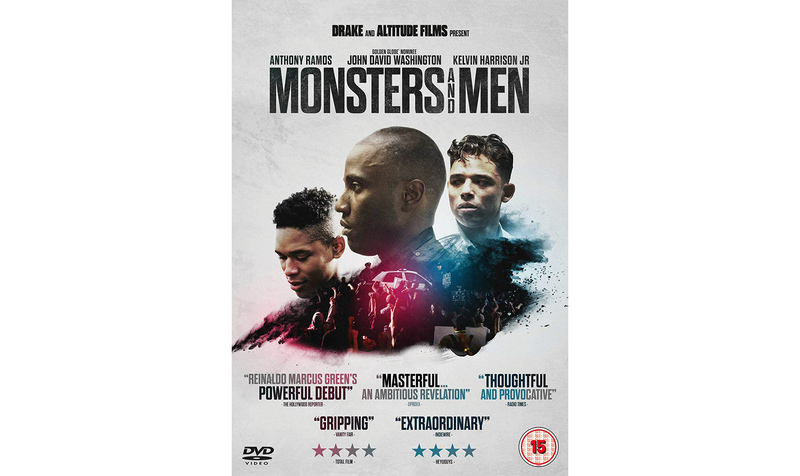 Monsters And Men tells a ripple-effect narrative: from an eye-witness (Anthony Ramos) who captures a shooting on his phone, an African-American police officer (John David Washington) battling with his conscience to stand up against his fellow officers, to a local high school student (Kelvin Harrison Jr) who transforms from passive bystander to vehement activist. With fluid cinematography that’s alert and expressive, the film explores the ramifications of such an event in a terrifying and poetic way.